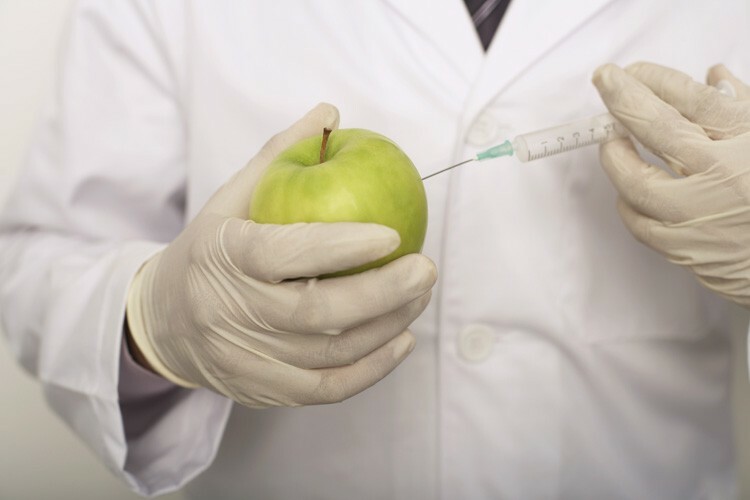 Several polls in recent years have shown that about 90 percent of Americans support the labeling of foods that contain genetically modified organisms. That's about as close to a consensus as you're going to get in this country. But amazingly, in this supposed bastion of freedom and democracy, we're still denied the fundamental right of transparency with regard to what's in our food. It's a right that more than 50 other nations, including China and Russia, protect with mandatory GMO labeling. It's ironic that China and Russia, those big scary authoritarian countries known for communism, corruption and rampant human rights violations, are more responsive to citizen concerns about what they put in their bodies. The glaring disconnect between America's celebrated democratic ideals and the FDA's refusal to budge on GMO labeling may be about to crumble, says Andrew Kimbrell of the Center For Food Safety. His organization is part of a broad coalition of groups petitioning the FDA for mandatory labels on foods that contain GMOs. Hundreds of other organizations have joined the effort, representing consumer advocates, farmers, concerned parents, businesses, environmentalists, and members of health-care and faith-based communities. The goal of the coalition, called Just Label It, is to collect enough petition signatures that the FDA acts on it, or enough signatures to compel President Obama to force the FDA to do so. There are three reasons Kimbrell believes that now, despite decades of undue biotech industry influence on FDA policy, the agency's GMO armor is ready to crack. "First of all, Obama promised, when he was a candidate, to impose labels," Kimbrell says, referring to a 2007 stump speech recorded by Food Democracy Now in which the junior senator from Illinois promised to "let folks know whether their food has been genetically modified, because Americans should know what they're buying." "Second," Kimbrell says, "the coalition behind this campaign is uniquely broad-based. We've got the Organic Trade Association, food companies, big consumer representation, environmental and agriculture organizations. It's not unrealistic that we'll get millions of people signing the petition. "And finally," he says, "we have extra leverage because it's an election year. With 90 percent of Americans wanting this, and millions of comments coming his way, Obama can do the math." Kimbrell blames the FDA's unresponsiveness to consumer concerns on a revolving door between the agency and the biotech industry. "The FDA," he says, "is composed of people who will soon be back in the industry." It's been that way since the early '90s, Kimbrell says, when the FDA hired former Monsanto lawyer Michael Taylor to write regulations for the use of a Monsanto product called recombinant bovine growth hormone, which is injected in cows to boost milk production. Detectable amounts of rBGH made it into milk, along with measurable amounts of extra puss, and consumer backlash was strong. Marketers of non-rBGH milk understandably chose to label their milk as such. Monsanto fought for 10 years to stop that labeling effort, employing a litany of strategies. The company threw in the towel last year after failing at the state level in Ohio. Kimbrell claims that GMOs have failed to provide the consumer anything but risk. "It's a product that only helps biotech corporations and industrial farmers, not consumers. If they came out with a product with less cholesterol, or more nutrition, greater yield, or lower cost, that would be one thing. But the whole, 'We're going to feed the world and the blind shall see and the lame shall walk' isn't panning out. If you're a consumer, why would you buy a product that offers no benefits and potential harm?" For 20 years we've been guinea pigs in an experiment to find out how safe they are, especially GM corn and soy. Evidence has trickled in on possible allergy issues and accumulation of GMO proteins from food in people. More research is clearly warranted, and labeling, say advocates, would help bring that about. As it is now, even if upwards of 99 percent of GMOs were safe, the FDA is in no position to catch the ones that could be problematic. That's because FDA's own scientists have been ignored by the agency's higher-ups. During GMO-related litigation in the late 1990s, the Center for Food Safety obtained some 80,000 pages of discovery, wherein lawyers found FDA scientists had raised numerous serious concerns about toxicity, allergenicity and other health risks posed by foodborne GMOs. "We know that if certain peanut genes are spliced into foods like soy, it can trigger a peanut allergy in someone who eats it," Kimbrell says. "They've patented all these novel genes and proteins. You don't get to patent something unless it's new. So they're telling the patent office these things are new, and they're telling the FDA there's nothing new." Without labeling, health officials are at a disadvantage when it comes to uncovering potential GMO-related toxicity or allergic reactions. If GMO foods were labeled, public health workers would have an easier time establishing patterns and correlations. In the U.K., where labeling is mandatory, soy allergy rates shot up after GMO soy was introduced, according to some studies. The FDA relies largely on the "organoleptic" standard for determining whether material differences between similar foods necessitate labels to distinguish them. The organoleptic standard means foods that look, taste, smell, feel or behave similarly require no distinguishing labels. Products shouldn't have to be proven dangerous before labeling is required, Kimbrell says, referring to an industry position he often confronts. "That's not the criteria for labeling. If there's a novel product in the food it should be labeled." And so, as protesters occupying Wall Street demand economic rights for the 99 percent of the population left to divide the table scraps of the rich, the 90 percent of Americans who want to know what's in their food are bringing pressure as well. And if the perfect storm Kimbrell is predicting comes to pass, that 90 percent will actually get the labeling it wants, and enjoy public food policy that reflects the will of the public, not corporations. Editor's note: Local food activists are gathering signatures for a 2012 ballot initiative requiring mandatory GMO labeling in California. They're holding information meetings this week on Thursday, Oct. 27, at 5 p.m. at Persimmons Garden Gallery in Redway (986-7469 for details) and on Sunday, Oct. 30, at 4 p.m. at Sun Yi's Academy of Tae Kwon Do in Arcata (northernhumboldtlabelgmos@hotmail.com or 822-4834).